"Scent Of Winter", the new video from Italian gothic metallers MACBETH, can be seen below. The song is taken from the band's fifth studio album, "Neo-Gothic Propaganda", which was released on February 24 via Dragonheart Records/Audioglobe S.R.L. Commented the band: "'Neo-Gothic Propaganda' combines a wide range of influences from classic symphonic gothic metal to scandinavian death metal with many contemporary, heavy, dynamic and very melodic elements. Our sound has been pushed to a more extreme approach and beyond the clichés of gothic metal." The band previously said: "'Neo-Gothic Propaganda' is probably the best record we have ever written. "Though our new sound is more aggressive than ever before, the new album will take you back to our roots. Fans of our old stuff will love it and new fans will find something special and a fresh production. "The new sound combines a wide range of influences and is heavier, dynamic and more melodic. "'Neo-Gothic Propaganda' is made up of ten brand new melodic and heavy songs and mixes gothic atmospheres into music that doesn't fit into any categories. "'Neo-Gothic Propaganda' is a manifesto, is a movement, is the soundtrack of contemporary decadence." 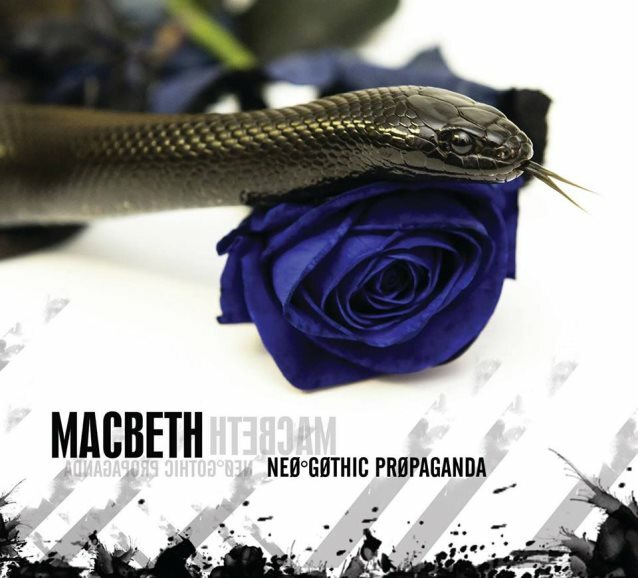 MACBETH's previous album, "Superangelic Hate Bringers", came out on November 16, 2007 via Dragonheart. The CD was recorded in two different studios, including a private studio in Reykjavik, Iceland and New Sin studios in Italy, where the band also mixed and mastered the album.